​Puan Yangbun - MasseusePuan Yangbun graduated from the Australian College of Massage in Leederville, Perth and holds a diploma of Remedial Massage. She has also obtained qualifications in spa massage and traditional Thai massage in Thailand. Puan has been a practicing masseuse in various spas and massage clinics throughout Perth. She has treated a range of people, including body builders, cyclists and athletes, tending to a variety of injuries. Puan excels in providing firm massage as well as gentle relaxing massage. She listens to her clients issues, understands their body and can adjust the massage techniques, based on individual client needs. Puan is passionate about the well-being of her clients. She is experienced in treating shoulders, upper back pain, neck pain, lower back pain, headaches, aching hips etc. 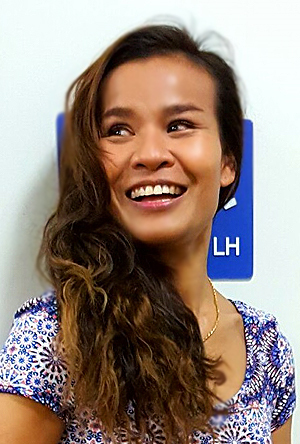 Her qualifications have provided her with experience in Remedial, Sport, Deep Tissue & Soft Tissue Massage and she is highly skilled in Traditional Thai Massage, Foot Reflexology and Swedish Massage. When at home, Puan enjoys listening to music, going to the gym and she loves to cook! Puan is dedicated to massage therapy and continually strives to update her professional study, in order to ensure client satisfaction and excellent results.